The Golden State Warriors are a little banged up right now. In the last game, the Warriors were missing Leandro Barbosa and Klay Thompson. As a reminder, Steve Kerr has not coached a game yet. Yesterday, Draymond was reported with the flu and the team practiced as if he wasn’t going to play. 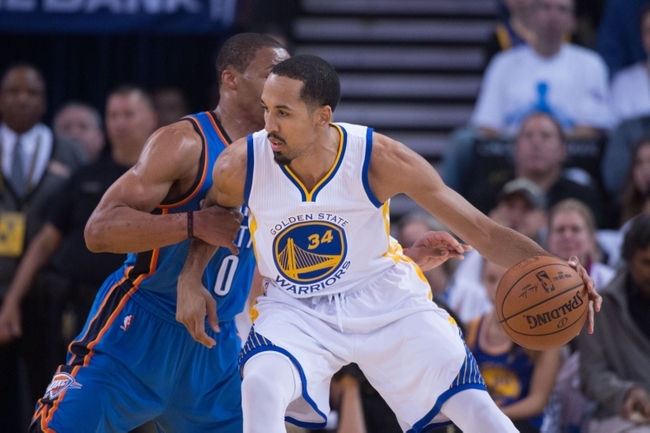 Warriors say Shaun Livingston is doubtful tonight vs. Raptors because of left hip flexor strain. In the last game, Livingston saw minutes at the end of the game as he did his best to lock down Jarrett Jack. Once again, Jack played well versus the Warriors but this season, the Warriors didn’t allow Jack to steal the win for the Brooklyn Nets. Tonight, the Warriors will host the Toronto Raptors in their classic “The City” jerseys. The hardwood court will also look different, they logos will match the jerseys.